I (TP) just returned from a quick trip to Perth for a presentation at Murdoch University. Well, the trip itself wasn’t quick (it’s a 4 hour transcontinental flight), but the stay was. Perth is interesting but different than “out east,” as they say there. It’s warmer there this time of year, and gets well into the 100s for weeks on end in their summer. The city is similar to Los Angeles in the sense that it is new, rapidly growing, and it just sprawls for miles and miles; compare that to Sydney and Melbourne, which are like older North American cities and feel more compact. 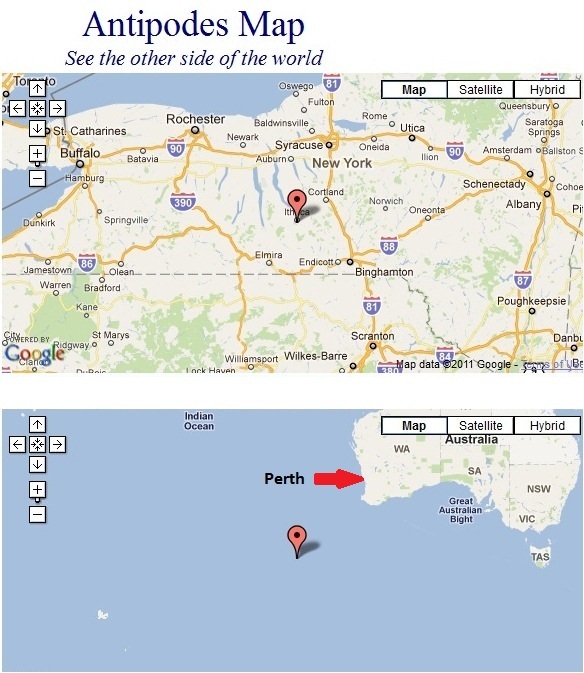 Perth also happens to be just about as far as you can possibly go from Ithaca and still be on land. What’s most striking about Perth, though, is the economy. Perth is dominated–dominated–by the mining sector. There’s actually not much mining done in Perth itself, but from what I understand the places that do all the mining are isolated and ferociously hot for most of the year (like the Kimberley), so lots of workers live in Perth and commute in (that commute, of course, is a 3 hour plane ride, but you get the point). Plus, Perth being the state capital and by far the largest city, it generally profits from the mining sector’s effects on the economy of Western Australia as a whole. According to everyone I spoke to in Perth, the huge increase in mineral wealth has generated the following outcomes. First, inflation, which doesn’t matter too much if you’re a miner or work for a mining company, but makes it hard for everyone else. Second, a construction boom, which meant that Perth weathered the GEC much better than you’d expect but which might be giving Perth a false sense of security. Third, a captured political system in which mining companies dominate state politics. Fourth, a weird kind of dependence on China and other resource-poor emerging economies: these are the main consumers of the iron and diamonds that they mine in Western Australia, and their hunger for resources is the basis of how the state’s economy works. All that said, Perth was really a nice place to visit and it would be great to return for a more extended period of time someday. Fremantle, where I actually stayed, was really nice. It’s a very different vibe from Sydney, Melbourne, or Canberra. Too bad it’s so incredibly far from home.